NVIDIA announced the NVIDIA Metropolis™ intelligent video analytics platform today at the GPU Technology Conference (GTC) in San Jose, CA. Metropolis makes cities safer and smarter by applying deep learning to video streams for applications such as public safety, traffic management and resource optimization. More than 50 NVIDIA AI city partner companies are already providing products and applications that use deep learning on GPUs, many of which will be on display this week at this week’s GTC. NVIDIA Metropolis is an edge-to-cloud platform for intelligent video analytics, designed to pave the way to smarter, safer cities. 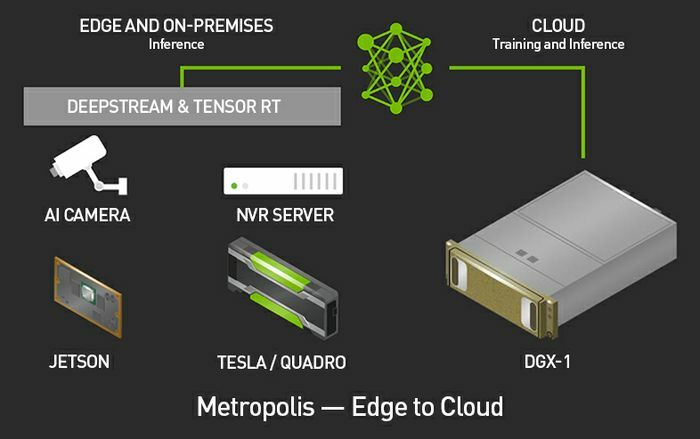 Metropolis spans multiple NVIDIA products that operate on a unified architecture. High-performance deep learning inferencing happens at the edge with the NVIDIA Jetson™ embedded computing platform, and through servers and data centers with NVIDIA® Tesla® GPU accelerators. 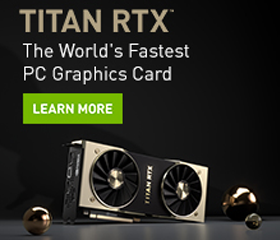 Rich data visualization is powered by NVIDIA Quadro® professional graphics. And the entire edge-to-cloud platform is supported by NVIDIA’s rich software development kits, including JetPack, DeepStream and TensorRT™. See how the NVIDIA Metropolis platform is transforming public safety and AI cities at GTC 2017 through May 11 at the San Jose Convention Center.